Popular! 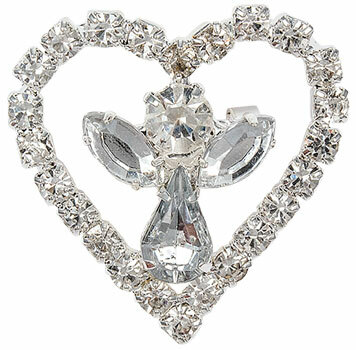 Beautiful silver and rhinestone heart brooch featuring an angel inside. 1.25 inch tall. makes an excellent gift for someone you love, mother, daughter, sister or girlfriend.